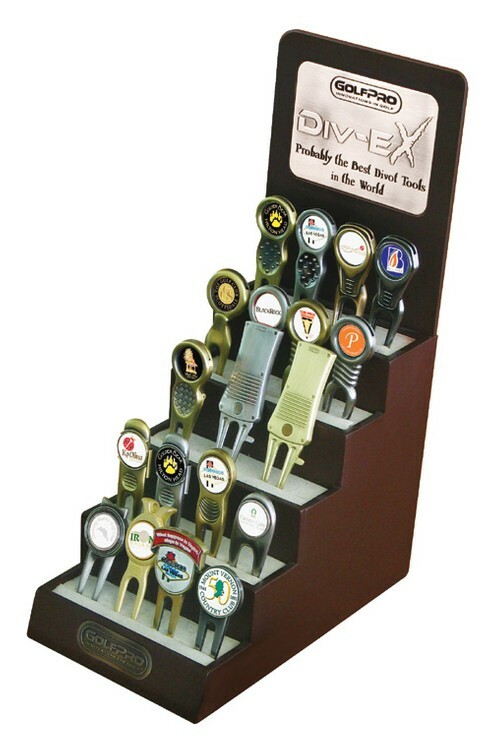 Elegant wood finish displayer has 5 levels, each with a special foam insert to accommodate any GolfPro tool. Small foot-print (6” x 10”) but exhibits an impressive visual impact. 7.750" x 4.5" x 9.875"